We are rich in wagons these days, and a new 2019 Audi A6 Avant longroof joined in today as well. I should be happy. I should be grateful. Really, I shouldn’t complain. But I can’t help but notice that each A6 gets less wagon-ey with every passing generation. Observe. Here is the most brand new A6 Avant, with a very stylish rear. It’s super laid back, like it’s fast and sporty. That’s fine. That’s nice. What isn’t it? Practical. All of that area cut out for looks could be holding the legs to your dresser, but instead they busted straight through the rear window. Here’s that car’s predecessor, the current A6 Avant you’d get in a showroom at the moment. It’s still rather raked. Look at all that space that could be used for holding things that is instead used for actively showing off how much stuff it is not holding. Go back a generation again and we can see that this is still a reasonably raked roof, but it’s certainly not worse than the car that replaced it. Ah yes, the second-generation A6 Avant, the late 1990s/early 2000s one that made the car what it is. See how stylish it is and still how much room there is back in the wagon area? Nice and upright in comparison to the wagons that came later. Is it uglier? Not at all. And here we are, at the first sixer longroof. This is actually a 1994 Audi S6 Avant, but that’s not important. What is is all that glass! So much space. So good. Audi, you can be both cool and practical. It’s possible. Just look on back to the past and you’ll see how. It’s not fair to pick on Audi for this alone. Porsche’s new wagon is even sleeker and less roomy, and the same can even be said of Volvo’s new V90/V60 pair. If any car company would have a practical wagon, it’d be Volvo, but alas even those cars are raked way back for looks over room. 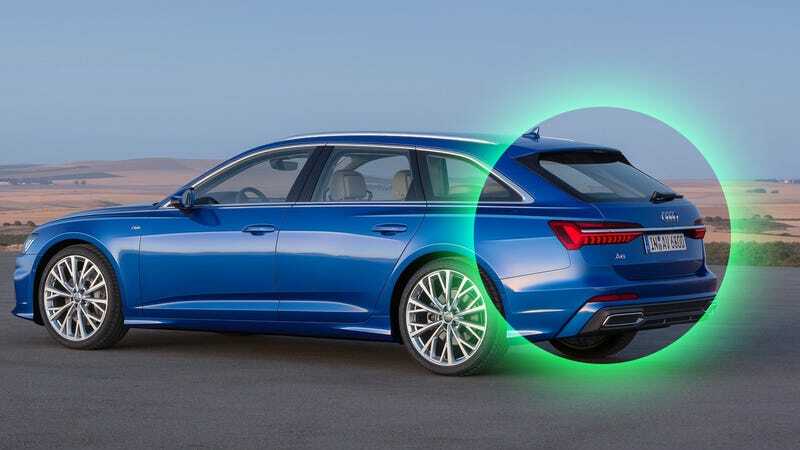 And that’s exactly why I wished Audi had bucked the trend and made a really roomy wagon. It’d be even more of a style statement than what it has now.